FIANNA FÁIL TD Éamon Ó Cuív has criticised the Minister for the Environment for “failing to give priority to the RAPID scheme”, which focuses on dealing with social deprivation in the 51 most disadvantaged urban communities in the county. The TD said there is particular need to focus on the areas of greatest disadvantage in the country, especially in the current economic climate. “Instead of doing this the minister has run down the RAPID scheme, which was doing considerable work in urban communities, he also withdrawn the funding for RAPID co-ordinators who were the people employed full-time to drive the programme,” he said. In a recent parliamentary question, Ó Cuív asked the minister about new developments which have taken place in the RAPID programme in the last year. 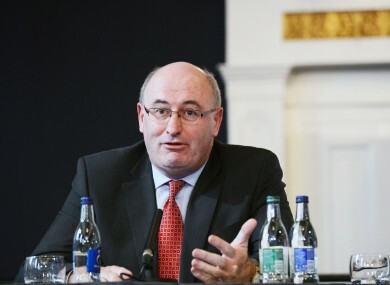 “In his reply, he pointed to developments that were already in train during the term of the last government; including the provision of €88,000 each to Ballina, Dungarvan, Enniscorthy, Mullingar and Raskeel, which were admitted to the RAPID programme in 2009 to improve infrastructure in these communities,” Ó Cuív said. However Hogan also mentioned the provision of €1.11 million for RAPID areas, which included the annual community sport budget and co-funded community based CCTV programme. In his response in October, the Minister also said that as part of the reform of local government city and council development boards will be phased out and replaced by socioeconomic committees which will have implications for the programme. “When you consider that there are approximately 300,000 people living in RAPID areas, this funding will have no significant effect and it shows the total lack of interest by the Minister in urban social deprivation,” Ó’Cuív said. Email “TD says Hogan has neglected scheme for disadvantaged urban areas”. Feedback on “TD says Hogan has neglected scheme for disadvantaged urban areas”.